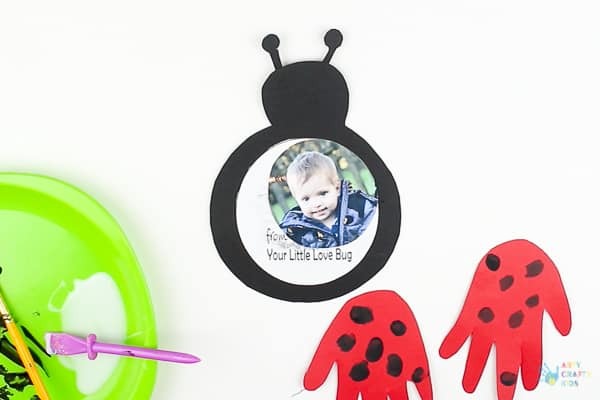 Using our free ladybug template, today’s post will show you how to make a Love Bug Handprint Card for Valentine’s or Mother’s Day. 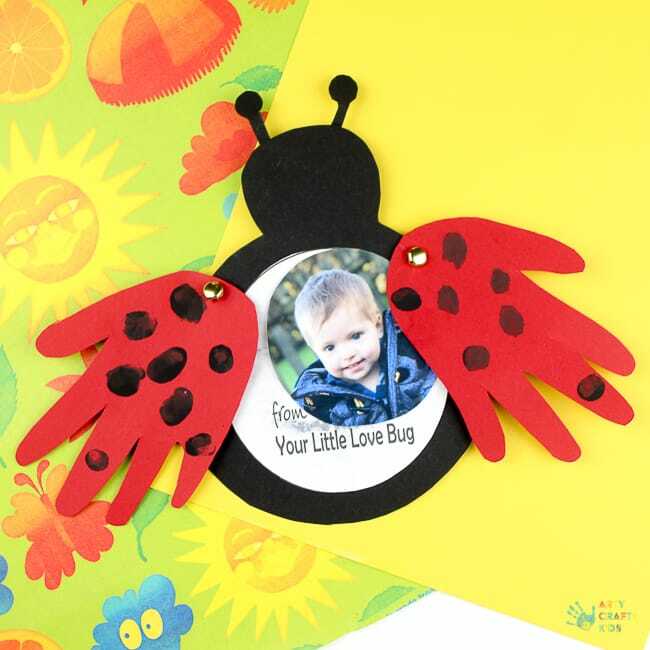 There’s nothing more precious than your little one’s handprints and for this craft, the prints double up as ladybug wings and a super cute heart! 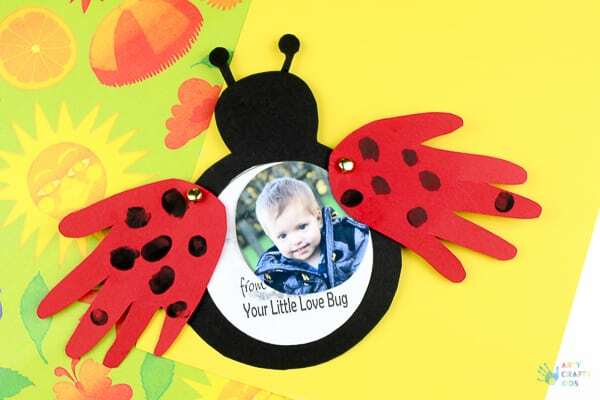 Open the wings to reveal the real love bug… your Arty Crafty Kid. 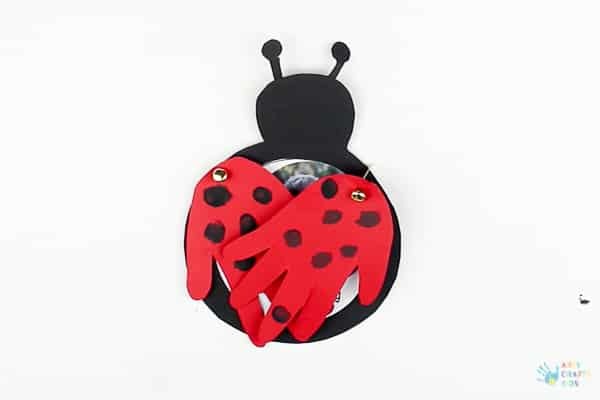 With just a few basic materials and our free template found towards the bottom of the post, this Love Bug Handprint Card is easy to make and can be independently made by older children! 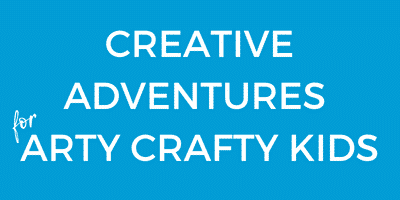 Check out our nifty Video below and subscribe to our new YouTube channel to see all our crafts in action. 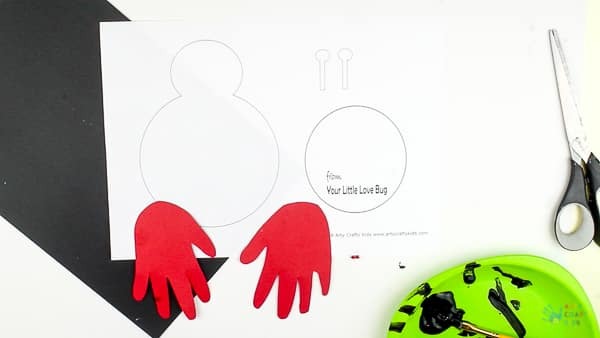 Using red cardstock, draw around your Arty Crafty Kids Hands and cut the prints out. Older children will enjoy tracing around their own hands and having the opportunity to practice their cutting skills. Step 2: Add spots with fingerprinting. There are few ways for this to be approached. 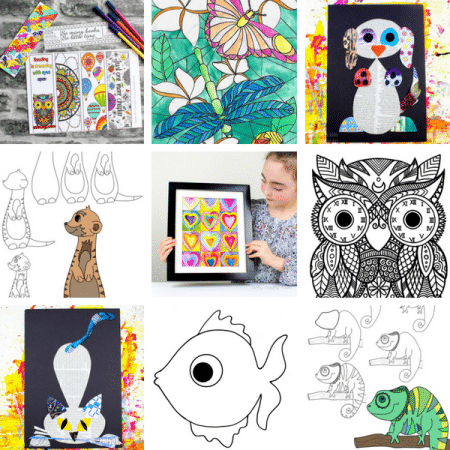 Your Arty Crafty Kids could use their prints to create heart-shaped spots, as well as dots. They could draw the spots on with a black pen or replace the paint with embellishments. 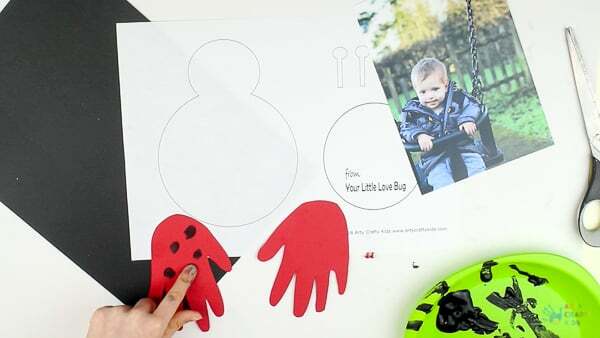 Step 3: Cut out the shapes from the template and use them to create a black (using cardstock) ladybug body and antennae. 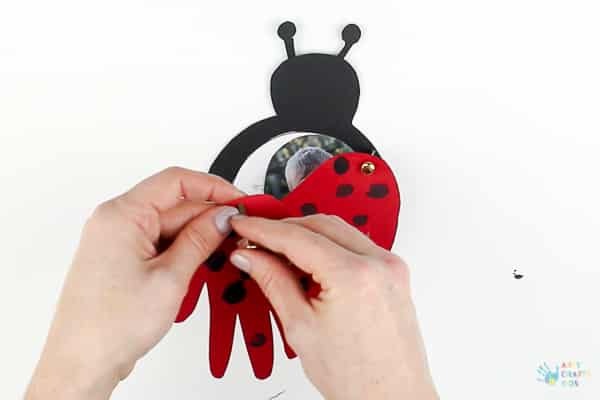 Step 4: Glue the white ‘from your little love bug’ circle onto the body and stick a picture of your love bug within the empty space. Step 5: Position the prints. If you would like the wings to form a ‘heart’ shape, the prints will need to be positioned as shown above. 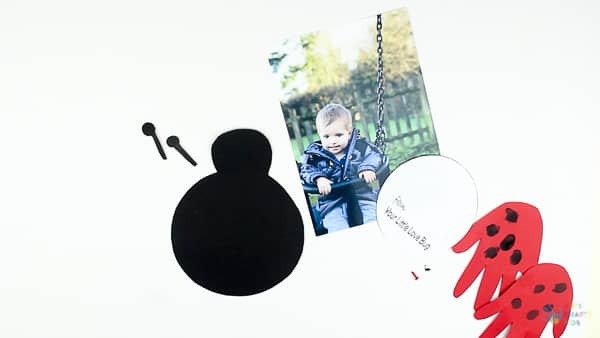 Once you’re happy with where they’re placed, push a split pin through the top of the handprint and again through the black card. Step 6: Add the second wing as above, ensuring the prints have plenty of movement to open and close. Open the split pins to secure.